Paw Patrol is taking its fun, dog-filled television show to the stage, bringing to life the cutest and best characters! Whether it's Race to the Rescue or The Great Pirate Adventure, get Paw Patrol tickets at Ticket Galaxy to see Paw Patrol Live! 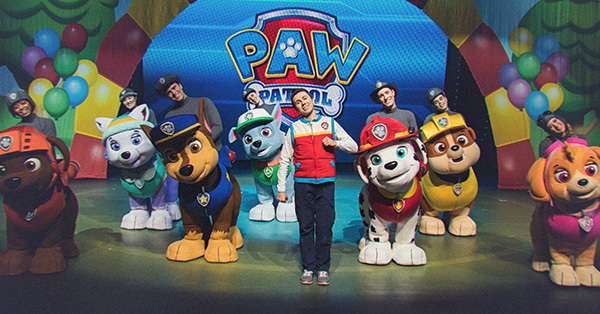 Paw Patrol is now coming to a stage near you! Ryder and his furry friends now have two stage shows to choose from. Race to the Rescue details the Great Adventure Bay Race: Adventure Bay's Major Goodway vs. Foggy Bottom's Major Humdinger. However, Mayor Goodway goes missing, and Paw Patrol is there to save the day! For The Great Pirate Adventure, it's Pirate Day in Adventure Bay. May Goodway is preparing for Pirate Day, but first, The Paw Patrol has to go on a mission to rescue Cap'n Turbot from a cavern. In the cavern is a secret pirate treasure map! The Paw Patrol sets out to find the treasure for the Pirate Day celebration before Mayor Humdinger finds it. Get Paw Patrol tickets at Ticket Galaxy, and see the adventures unfold onstage!